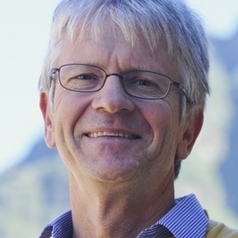 Prof Harald Winkler is Director of the Energy Research Centre (ERC) at the University of Cape Town (UCT). The ERC focuses on energy, its relation to key challenges such as poverty, development and climate change, and energy efficiency, renewable energy and energy modeling as approaches to addressing such challenges. His personal research interests focus on energy and environment, in particular climate change and the economics of mitigation in the context of sustainable development. His research has informed energy and climate policy at the national level and multi-lateral negotiations. Harald led the research work underpinning South Africa’s Long-Term Mitigation Scenarios (LTMS). In 2011, he started working with other developing countries to share the LTMS exprience in a programme called MAPS – Mitigation Action Plans and Scenarios. He has written on transparency, equity and comparative analysis of mitigation actions in developing countries. He is a member of the editorial boards of three international journals Climate Policy, Climate and Development and Current Opinions in Environmental Sustainability. He has published two books and one edited book, 44 articles in peer-reviewed journals, as well as several chapters in peer-reviewed books. Harald has been a member of the SA delegation to the negotiations under the UN Framework Convention on Climate Change. He is a lead author lead author for the Intergovernmental Panel on Climate Change’s Working Group III on mitigation, has served on the Methodologies Panel to the CDM Executive Board, and participates in advisory bodies to local and provincial government.